In the spring, leaders from B’nai B’rith International and B’nai B’rith Europe traveled again to the United Nations Human Rights Council’s assembly in Geneva. In meeting after meeting, B’nai B’rith leaders stressed the hypocrisy of the laser focus on Israel, while the council—charged with monitoring and enforcing respect for human rights everywhere—ignores such serial human rights abusers as Iran, Syria and North Korea. It is still astonishing how the all-consuming hatred of Israel blinds the council to the malfeasance of far too many nations. But we also know that B’nai B’rith machinery, which has been in place at the world body since 1945, is imperative if we are to effect change on an institution that too often enforces one set of rules for Israel and another for the rest of the world. We stood at the forefront of opposing new Palestinian efforts to circumvent direct peace negotiations with Israel, and to be afforded privileges not enjoyed by any other non-member of the U.N., by standing against the raising of the Palestinian flag at the world body. In March, B'nai B’rith Canada hosted the first-ever, in Canadian history, National Sephardic Delegation to Ottawa. Timed to coincide with the holiday of Purim, B'nai B’rith Canada's National Senior Legal Counsel David Matas and CEO Michael Mostyn testified before the Parliamentary Sub-committee on Human Rights regarding the ongoing human rights abuses in Iran. B’nai B’rith Europe has been active assisting Holocaust survivors in Ukraine. The B’nai B’rith lodges in Ukraine concentrate on humanitarian aid. In Kiev, 112 elderly Holocaust survivors receive a food parcel every two weeks, and 170 elderly survivors receive free medical care and medication every two weeks. In some cases the medication and food is delivered at the survivor’s home by B’nai B’rith Europe volunteers. In Lviv, 50 Holocaust survivors are provided a meal in the dining room of the Institute of Technology of Lviv University five days a week and take home a parcel of yogurt and cheese for the weekend. An additional 25 people receive financial help once monthly. 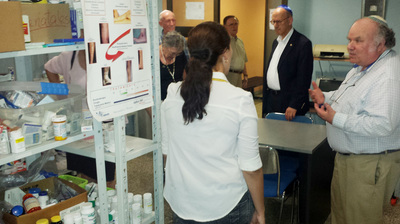 Some 300 survivors receive complete medical care once a month in the Lviv B’nai B’rith Medical Centre, consisting of a pharmacy, ECG equipment, cardiologist and general medical practitioner. In addition, 80 survivors have monthly dental treatments, which include, where necessary, free dentures. And 50 survivors receive a weekly laundry service to ensure a good level of hygiene. 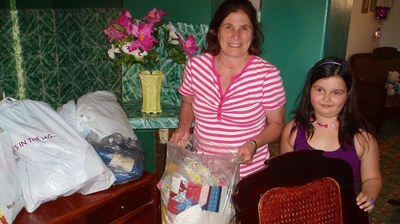 Volunteers make in-home visits every Tuesday with food and medication to 25 immobile survivors. In the Provincial Cities of West Ukraine, the heads of the Jewish communities of provincial cities are authorized to distribute cash assistance on a monthly basis to some 400 survivors for the purchase of food and essential medication. A further 25 survivors receive direct financial support once a year. We wrote in May 2015 to the United Nations secretary-general concerning an outrageous recommendation by U.N. Special Representative for Children in Armed Conflict Leila Zerrougui, to place Israel on the list of entities that regularly and systematically harm children in conflict situations. We noted that adding Israel to this list would put it on the same footing as such grave violators of human rights as the Taliban, Boko Haram and ISIS. The subsequent U.N. report did not include Israel. 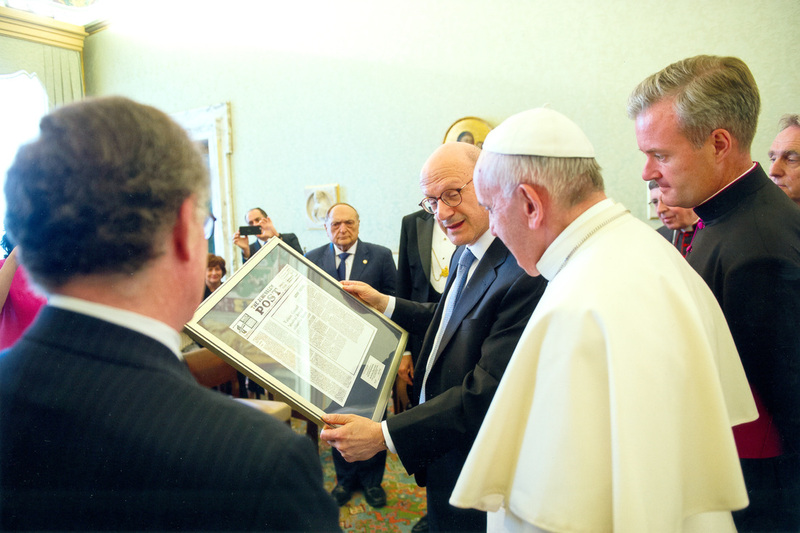 B’nai B’rith International along with leaders from B’nai B’rith Europe had a private audience with Pope Francis at the Vatican, urgently highlighting Iran's illicit nuclear program, condemning the violent extremists who target Christians as well as Jews in the Middle East, and celebrating 50 years of historic progress in Catholic-Jewish relations. An important means for international dialogue is through our diplomatic luncheon series, hosted in our Washington, D.C. headquarters. Guests enjoy an intimate gathering, hearing from an ambassador about his or her country’s interactions with Israel and the United States. This year, we have hosted the ambassadors from Latvia and India and well as Assistant U.S. Secretary of State for Western Hemisphere Affairs Roberta Jacobson. We have also held such luncheons in other cities with international consuls, such as Chicago, to ensure a broad range of our members and supporters can take part in such informative sessions. In October, B'nai B'rith Europe held a working brunch with several organizations that were attending the two-day colloquium organized by the European Commission called "Tolerance and Respect: Preventing and Combating Anti-Semitic and Anti-Muslim Hatred in Europe.” President of B'nai B'rith Europe, Erika Van Gelder (who has since passed away), and Vice President of B'nai B'rith Europe, Valerie Achache, chaired the meeting. 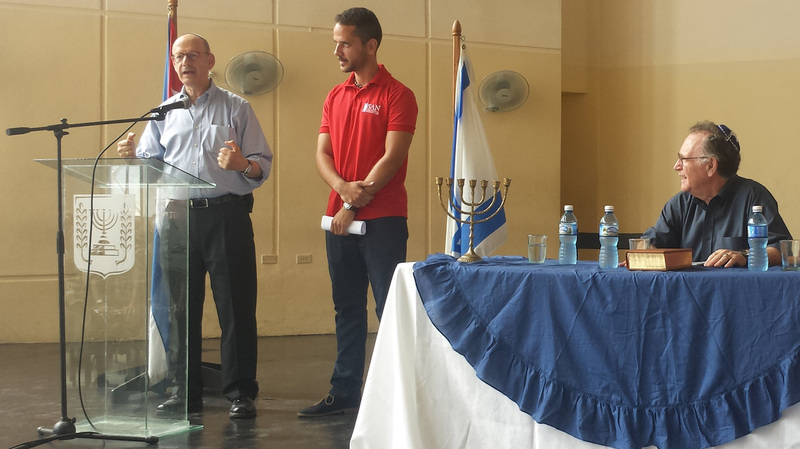 Serge Dahan, president of B'nai B'rith France, also attended the event. The idea behind this meeting was for Jewish and pro-Israel European non-governmental organizations such as B’nai B’rith Europe to become familiar with one another's work, and ultimately to create leverage through a task force with coordinated efforts on common topics of interest. In addition to B’nai B’rith Europe, other groups included were: The American Jewish Committee/Transatlantic Institute, the European Alliance for Israel, Europe Israel Public Affairs, the European Jewish Association, the European Jewish Centre, the International Association of Jewish Lawyers and Jurists and the World Jewish Congress. Creating a definition of anti-Semitism at the European Union level, modelled on the U.S. definition, was a common point of interest. Another one was to increase anti-Semitism awareness among civil servants and magistrates in charge of implementing hate crime laws. B'nai B'rith Europe would like to turn this meeting into a regular event, and hopes that working in partnership with other organizations will make a positive change for Israel and the Jewish community in Europe. In the fall, a large multinational B’nai B’rith leadership delegation visited India, the world's largest democracy and a vital emerging power on the global stage, to support and strengthen the deepening Indian friendship with both Israel and the U.S.
India has become an important friend to Israel, and maintaining this relationship could be a key global component for Israel moving forward. Thanks to our international track record, the B’nai B’rith delegation was welcomed at every turn. ​B’nai B’rith International welcomed the confirmation of Yom Kippur as a recognized holiday at the United Nations headquarters. In 2014, B’nai B’rith wrote an op-ed for The New York Times, urging the U.N. to include the holiday among those it officially recognizes. After many years during which no acknowledgment was afforded to the holiest day on the Jewish calendar—even in the city with the largest Jewish population in the Diaspora—staff at U.N. headquarters in New York can now choose Yom Kippur from among six holidays on which they can stay home from work. While the U.N. building will remain open on Yom Kippur, major intergovernmental meetings—including those of the high-level General Debate, which world leaders attend at the start of the new General Assembly session every September—will not be held on Yom Kippur. 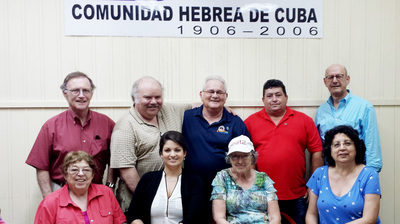 We had huge successes reinvigorating the Cuban Jewish Relief Project during an ever-changing period of reignited relations between the United States and Cuba, including the growth of our missions. 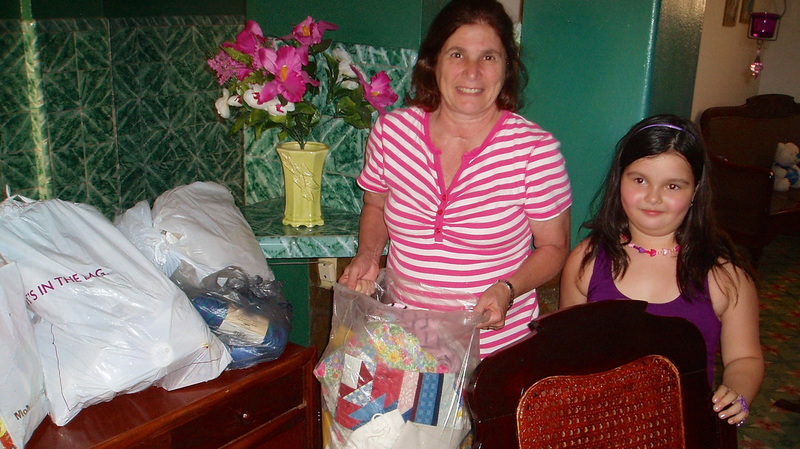 In 2015, we held four missions, with 60 participants and delivered more than 2,000 pounds of donations. 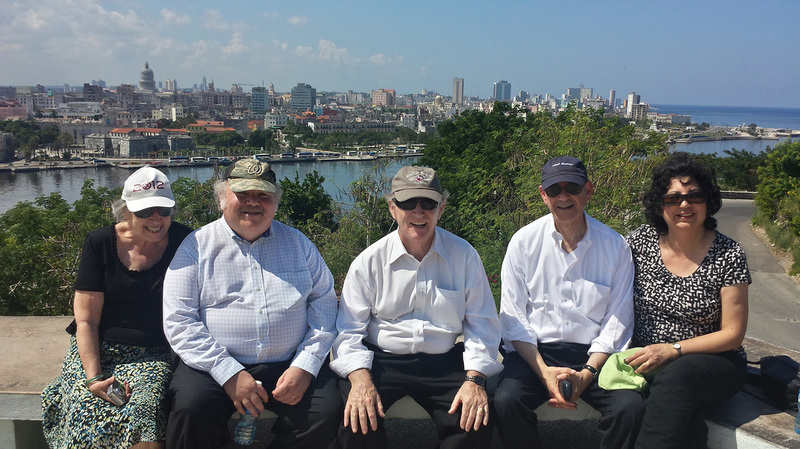 This year also marked our first-ever executive leadership delegation to Cuba. The B’nai B’rith World Center in Jerusalem and the B’nai B’rith Cuban Jewish Relief Project hosted a symposium on the future of the Jewish community, tourism and humanitarian aid in an evolving Cuba. In attendance were members of the diplomatic corps, former emissaries in Latin America, humanitarian aid experts and B'nai B'rith leaders. The symposium was the culmination of week-long meetings in Jerusalem, held between the B’nai B’rith delegation and the Yad Vashem International School for Holocaust Studies, the Ministry of Foreign Affairs, and other entities concerning the status of the Jewish community in Cuba and its connection to the global Jewish world. of the AMIA bombing in Buenos Aires, Argentina. Huge crowds were spurred by the death of special prosecutor Alberto Nisman. 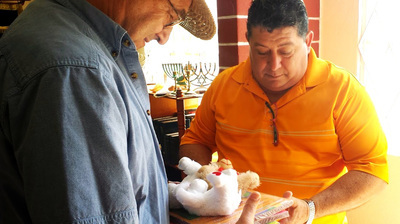 B'nai B'rith, whose strong presence in Latin America sharply differentiates it from other Jewish organizations, has closely followed the most important developments in the region. In Argentina, B’nai B’rith tracked the mysterious death of AMIA (the Argentine-Israelite Mutual Association) case prosecutor Alberto Nisman, as well as the unfortunate developments that followed, with great sorrow and concern. Nisman had been investigating the 1994 bombing of the AMIA building for 10 years. He was convinced that high ranking Iranian officials had been involved in the planning and the execution of the attack, and was even able to secure INTERPOL red notices for several of them in 2007. He was found dead in his apartment on Jan. 18, 2015, just hours after accusing the Argentine government of signing a pact with Iran in order to exonerate the accused of any responsibility for the bombing. B’nai B’rith issued several press releases and published a number of op-eds to raise awareness about the urgent need to clarify what happened to this brave prosecutor. We were also part of a high level delegation that visited the country to gather information, and express support to the distressed local Jewish community. We will continue to monitor the judicial investigation that is taking place in Argentina, and raise awareness about this unresolved case until we see that justice is really served. And we will continue advocating for the victims of the AMIA bombing and their families, who have now been deprived of any real hope for justice. Through our valuable partnership with AJIRI (the American Jewish International Relations Institute), we continued working to change the unfair way countries vote at the United Nations on resolutions involving Israel, and to educate local Jewish communities on the powerful anti-Israel propaganda apparatus that is the work of the World Body. Particularly in Latin America, we were able to see positive changes in the voting pattern of countries such as Uruguay, Paraguay and Honduras, and we hope to see this kind of change in other countries in the near future. Also through our partnership with AJIRI, we were able to forge important and long-lasting alliances with Christian Evangelical organizations that do very valuable pro-Israel work in Latin America.